A short assignment to review key concepts relating to the chemical properties of carb and water. 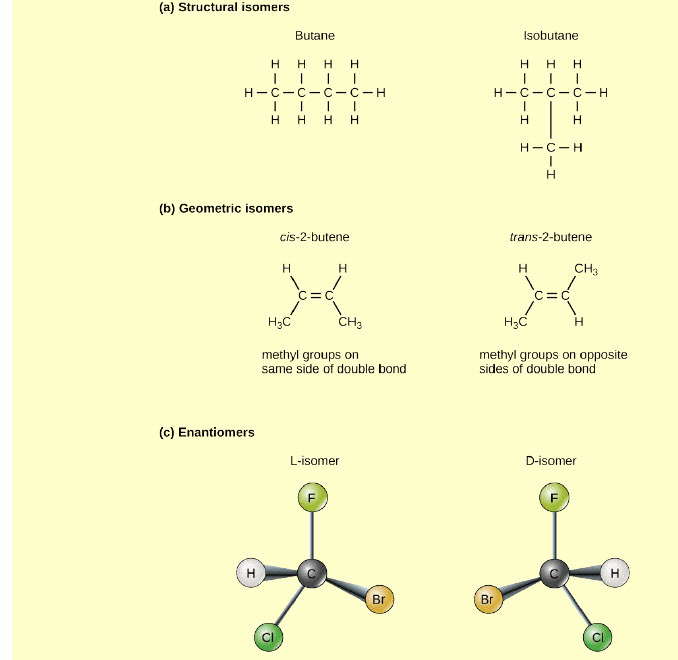 Figure 2.24 Molecules that have the same number and type of atoms arranged differently are called isomers. arrangement of atoms around a double bond. (c) Enantiomers are mirror images of each other. Molecules must have a double bond to be cis-trans isomers. as________ other atom(s) or molecule(s). Pick any 4 Functional groups, draw them and then explain what property they give to the molecule they are attached to and/or what role they play in allowing a molecule to do something.